The personal story below is intended for informational purposes only. The National Blood Clot Alliance (NBCA) holds the rights to all content that appears on its website. The use by another organization or online group of any content on NBCA’s website, including patient stories that appear here, does not imply that NBCA is connected to these other organizations or groups or condones or endorses their work. Please contact info@stoptheclot.org with questions about this matter. It all started Friday January 13, 2013. It was an unusually nice day for January in Pennsylvania so I spent an hour or two picking up the back yard. That evening I felt a small twinge in my right calf, and figured I must have slightly pulled a muscle. Over the next 3 days, the pain became worse, with the twinge becoming more of a fullness. Elevation and ice would help, but as soon as I put my foot down, it gave a sensation of “filling up” and the pain was increasing. On Tuesday morning, I made an appointment at my local orthopedic hospital, assuming it was that type of injury. X-rays came back negative, so an ultrasound was performed. The technician was young, bubbly, and very talkative… but then the silence came. A look of seriousness and concentration came across her face, and the casual banter ceased. I assumed she was just concentrating. When complete, I was ushered to another room as if I were suddenly fragile. I was informed that I had an extensive blood clot in my leg, and my next step was to go see their vascular specialist… immediately. I am familiar with many things with regard to medicine, anatomy, and the like, however, I was woefully lacking knowledge in the areas of veins and hematology. As a NASA engineer, the feeling of not knowing, nor understanding what was happening to me, at this point was nearly as unsettling as the pain in my leg. The vascular surgeon informed me that I had an extensive DVT from my groin into my foot. When explaining exactly what that meant, he informed me that many patients can choose to treat this at home or in the hospital. For me, however, I would not be given a choice. That afternoon, I was admitted to the hospital, adorned with yellow bracelets and yellow socks, identifying me as a fall risk. The following morning, interventional radiology performed a Trellis procedure from my popliteal vein up into my groin. After 36 hours in the ICU, I was returned to my room to recover. At this point, I was informed that I was diagnosed with heterozygous Factor V Leiden Deficiency. This was quite perplexing, as I had no known family history of blood clots. Additionally, over years of rugby and other sports, I have had several operations and injuries, which were followed by weeks of immobilization. Still, there were never any clotting issues. Needless to say, like many, I was scared, confused, and looking for answers. In my hospital bed, I discovered a Factor V Leiden group on Facebook. I told my story, and asked for help. The outpouring of support and understanding without having to explain everything was great medicine. It was through this group that I learned about the National Blood Clot Alliance and its website stoptheclot.org, which has become a great resource for my education and advocacy. Once able to walk again after returning home from the hospital, I began to jog. While I have always been involved in athletics, the thought of actually running… for fun… was completely foreign to me. I figured this was as good a time as any for a life-change. Four months later, on my 37th birthday, I went from hospital bed, to 5K. 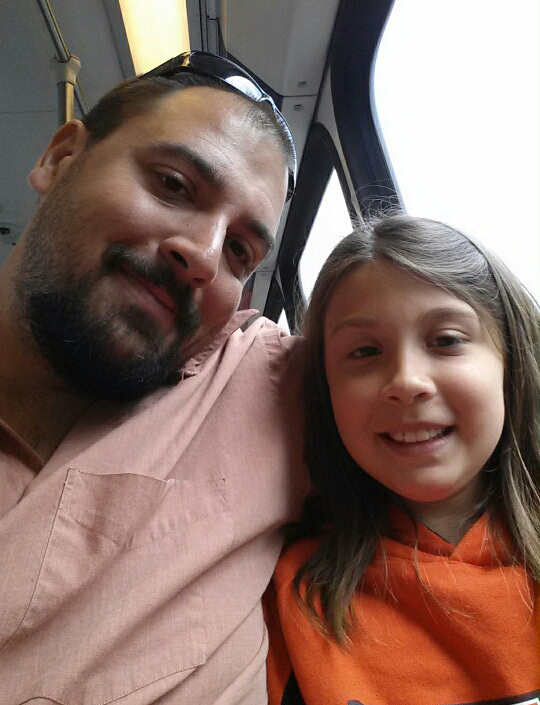 During this time, my oldest daughter, Ava, would occasionally join me. She had just turned 8 at the time of my first race. We both enjoyed the time together and in November, we ran her first 5K together. At the start of 3rd Grade, Ava’s class read the book Something Beautiful, by Sharon Dennis Wyeth. From this, they discussed what is beautiful inside of themselves and around them. This transitioned into a summary of the best of what is, then the best of what can be. With the guidance of their amazing teacher, Mrs. Amy Musone, the class brainstormed ideas, and out of this came the idea for a project to make the world more beautiful. There were several ideas to help out a local cancer foundation. 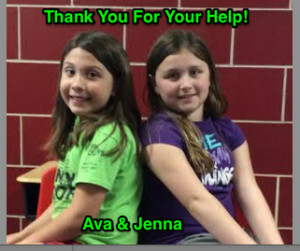 Ava was concerned that while everyone knew about things like cancer, nobody knew anything about blood clots! So, she teamed up with her best friend Jenna and decided to do something about it. Based on their mutual love of running, they started to plan a 2K run/walk event, aptly named Clot Trot, for their entire elementary school of over 500 students K-3, to raise blood clot awareness. Mike Beamesderfer is an engineer for NASA at the Goddard Space Fight Center in Greenbelt, MD. He and his wife, Arieta, have 3 children, Ava (9), Claire (7), and Coen (5). They reside in York, PA. The personal story is intended for informational purposes only. The National Blood Clot Alliance (NBCA) holds the rights to all content that appears on its website. The use by another organization or online group of any content on NBCA’s website, including patient stories that appear here, does not imply that NBCA is connected to these other organizations or groups or condones or endorses their work. Please contact info@stoptheclot.org with questions about this matter.